Passages to the Past: Kick-off day for Sandra Byrd's Virtual Book Tour for THE SECRET KEEPER: A NOVEL OF KATERYN PARR + Giveaway! Kick-off day for Sandra Byrd's Virtual Book Tour for THE SECRET KEEPER: A NOVEL OF KATERYN PARR + Giveaway! I am so excited to announce that Sandra Byrd's virtual tour for the second novel in her Ladies in Waiting series, THE SECRET KEEPER: A NOVEL OF KATERYN PARR starts today! And in honor the kick-off day Passages to the Past has a copy of her exciting new book up for grabs! The tour will be hosted by some really fabulous blogs who will be bringing you reviews, guest posts, interviews and giveaways so be sure to check the tour schedule below to see where the tour will be stopping! Sandra Byrd's Ladies in Waiting series is "a rich alchemy of fact and fiction, the Ladies in Waiting series chronicles the glittering court lives of three Tudor Queens and the women chosen to be their closest friends and companions. Each book envelopes the reader in sweeping romance, heartwarming and heartbreaking circumstances, and heroines who choose lives worth risking all for." The author of To Die For returns to the court of Henry VIII as a young woman is caught between love and honor. Juliana St. John is the daughter of a prosperous knight. Though her family wants her to marry the son of her father's business partner, circumstances set her on a course toward the court of Henry VIII and his last wife, Kateryn Parr. Sir Thomas Seymour, uncle of the current heir, Prince Edward, returns to Wiltshire to tie up his concerns with Juliana's father's estate and sees instantly that Juliana would fit into the household of the woman he loves, Kateryn Parr. Her mother agrees to have her placed in Parr's household for "finishing" and Juliana goes, though perhaps reluctantly. For she knows a secret. She has been given the gift of prophecy, and in one of her visions she has seen Sir Thomas shredding the dress of the king's daughter, the lady Elizabeth, to perilous consequence. As Juliana learns the secrets of King Henry VIII's court, she faces threats and opposition, learning truths about her own life that will undo everything she holds dear. Sandra Byrd has published more than three dozen books in the fiction and nonfiction markets, including the first book in her Tudor series, To Die For: A Novel of Anne Boleyn. Her second book, The Secret Keeper: A Novel of Kateryn Parr, illuminates the mysteries in the life of Henry's last wife. 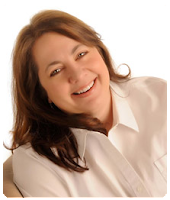 For more than a decade Sandra has shared her secrets with the many new writers she edits, mentors, and coaches. She lives in the Seattle, Washington, area with her husband and two children. For more Tudor tidbits, please visit www.sandrabyrd.com. "Juliana’s character as the main protagonist is both surprisingly fresh and perfectly presented. There is much more to her than a lady’s maid, and finding out her secrets as the story unfolds is a great pleasure. Unlike many novels of this kind — which portray a fictional character in the lead — this one works very well. A female’s place in society is expanded upon, but not so much as to become monotonous and spoil the historical theme." 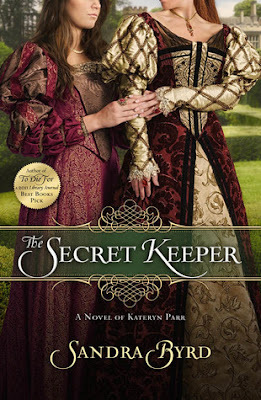 "Rich in historical detail, full of intrigue, and starring a memorable heroine—Juliana St. John—who grows in both character and faith, Sandra Byrd's The Secret Keeper kept me completely engrossed in the tumultuous court of Henry VIII. I felt a part of the times, thanks to the author's skillful storytelling, vivid descriptions, and inspiring characters. Readers are in for a special treat with this remarkable novel." "Sandra Byrd's remarkable book, The Secret Keeper, provides exquisite attention to detail of time, language, and place. A deft creation of character voice that invites the reader in and never lets her go. A delicate suspense that keeps pages turning. And throughout, the evidence of a remarkable storyteller who moves emotions in ways that both inspire and satisfy. I fell in love with Juliana St. John and with her heart, and hope she and her secrets find the widest possible audience." - Giveaway ends on June 18th. Please enter my name in the draw for the chance to win a copy of The Secret Keeper, email below. Thanks! I have never read this author, so would love to start now. Looks like a great book. I am a follower on GFG and FB. Thank you so much for hosting the giveaway. I enjoyed To Die For and this book looks great too. I intend to read this entire series. Would love a freebie. Thanks for the giveaway. I'm a follower. Sounds like an interesting novel. Thanks for the giveaway. I am a follower on Facebook. I would love to win this book. Thanks for the chance. I can't wait to read the next in the Ladies in Waiting Series, loved To Die For! Her name sounds familiar but that's it! Would love to learn more about Kathryn Parr. Also see partial faces on the cover. Does this mean that faces are returning. Hope so!!! +5 Long time follower of your blog. +3 I follow your blog on Twitter under Carolee888. I just loved To Die For and cannot wait to read this second book in the series! Thanks for having the tour and also having this giveaway :). +3. FB Page follower (Colleen Turner). I read the first book and really enjoyed it! Looking forward to this one! Sandra Byrd has been on my TBR list for a while now - I would love to win a copy! I would love a chance to win The Secret Keeper. This is the period in history that I love to read about. I follow on facebook, the internet and through email. Thank you for making this possible for a lucky winner. Thank you so much for hosting the book, and me, Amy! I appreciate, too, anyone willing to give my books a read. I know there is so little time and so many books beckon! This book sounds so interesting! I look forward to reading it! Thank you for a fantastic giveaway! I can't wait to read The Secret Keeper! Kate Parr is the one that made it through. Would love to get this book. Spreading the word on my sidebar! Oh I just can't get enough of the Tudors! I do enjoy stories about the Tudors.